Although Istria is a little different from your typical sandy-beach holiday destination, it’s still one of the best places in Croatia to visit with your family. There is so much to do; everyone is sure to have a fun and entertaining time, whether they prefer a day lounging in the sun or getting the adrenaline up. And best of all, we’ve got loads of family-friendly holiday villas in Istria for you to come back to after a great day out and about. So if you’re thinking about taking the kids to Istria, you’re in the right place! We’ve compiled a handy list of our personal top ten kid-friendly activities in the area, to get you going with your holiday planning. For those among you who are always up for a little adventure and excitement, take a closer look at Glavani Park. 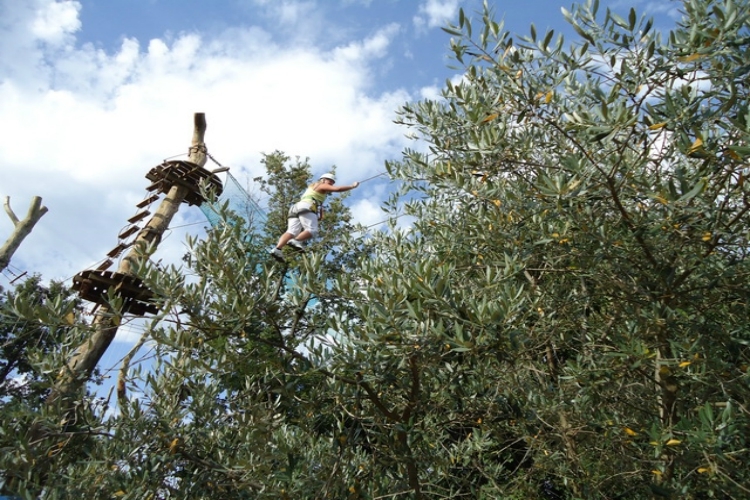 Here you’ll find the largest high ropes climbing course in Croatia, as well as a bunch of other fun activities. Small children will go just two metres above ground, while bigger adventurers graduate to ten fun games at six metres in the air and a 113-metre long zip line before deciding if they want to continue on an even bigger and more difficult ten-metre high course. When you’ve finished your adventures among the treetops, you get to tackle the suspension bridge known as Devil’s Causeway, and any other game you’d like. There is an 11-metre drop from the 3G high swing, a climbing wall, high tower, and even a human catapult! If the whole family isn’t spent after such an adrenaline-filled day… just get back up and do it again! And if your little ones are eager to stay up a little late on your holiday, head to the Glavani Park concert arena for a late-night show. Istria is a beautiful region, and there is no more charming way of experiencing all its nooks and crannies than from the back of a strong and friendly horse. 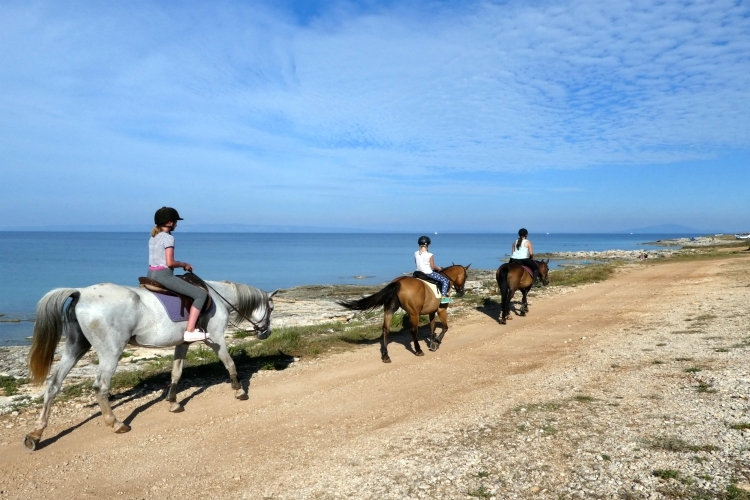 Ranch Istra Star is a recreational riding centre that takes beginners and experienced riders on fun trail rides with professional guides. All of their groups are small, and rides are personalised according to skill. Beginners can choose to go on a one-hour ride passing through meadows and over 40 hectares of vineyards in southern Istria, or on a two-hour ride through forests, meadows and gravel roads as well as along a part of the coast with a view of rocky beaches and the Kvarner islands. More experienced riders also have the option of an even longer tour combining the two, as well as passing historical places such as Roman ruins and a sunken military cruiser. Whichever tour you choose to go on, time spent on horseback with family in the beautiful Istrian countryside is always memorable. Many, many, many millions of years ago, the Istrian peninsula was inhabited by dinosaurs. Today, the beautiful natural surroundings which contribute to the authentic prehistoric atmosphere are only the icing on the cake at Dinopark Funtana. In the wilderness of the old stone quarry where part of the park is located, you can wander around life-size moving dinosaurs. In the show arena, you can not only view circus shows but also attend Dino cinema. Outside you’ll find a mini-amusement park for the little ones, a dino shooting range, and a playground. Most importantly, however, you can ride ponies and dinosaurs! That is, while you’re not attending a fossil safari or attending the exhibit of prehistoric sea creatures. We’re sure there’s a dino-enthusiast or two among you, and as you can tell – Dinopark has a lot going on! The beaches in Croatia aren’t known to be sandy, but they’ve still got a lot going for them! 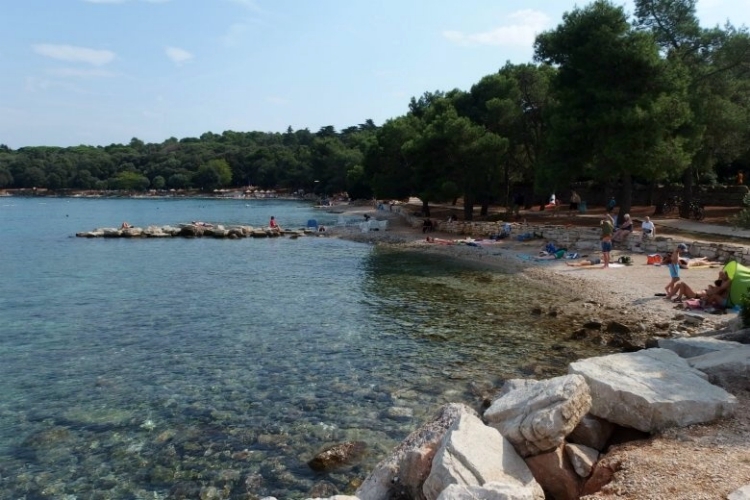 The beach at Lone Bay, near Rovinj, is part a protected park forest and one of the most popular beaches in the area. The water is gorgeously green and blue, and the pebbled beach attracts swimmers and lots of families with kids. Just a few meters from shore you can relax in the shade of centuries-old trees and grab a bite at a snack bar. The beach provides gorgeous views, best seen from the pedal-boats which you can rent on site. There is also a beach bar with refreshments and music, and a great selection of restaurants serving freshly-caught seafood. And while you are in the area, take a short late-afternoon walk along the green path to the centre of Rovinj-Rovigno for even more family fun and entertainment. Perhaps in the place you least expected, within the old military fort Verudela, you’ll find Aquarium Pula. Walking through the rooms, hallways, tunnels and moat of the once mighty fort, you’ll discover plenty of the Adriatic underwater world – including more than 200 species of marine and freshwater fish, reptiles and amphibians. At the marine turtle rescue centre, you can learn about one of the most endangered species of marine life in the world (and even adopt a sea turtle! ), while the Blue School offers workshops on various fishy topics. Other exhibitions include Tropical Marine Inhabitants – that means sharks -, sea horses and sea dragons, and lots of cool jellyfish. 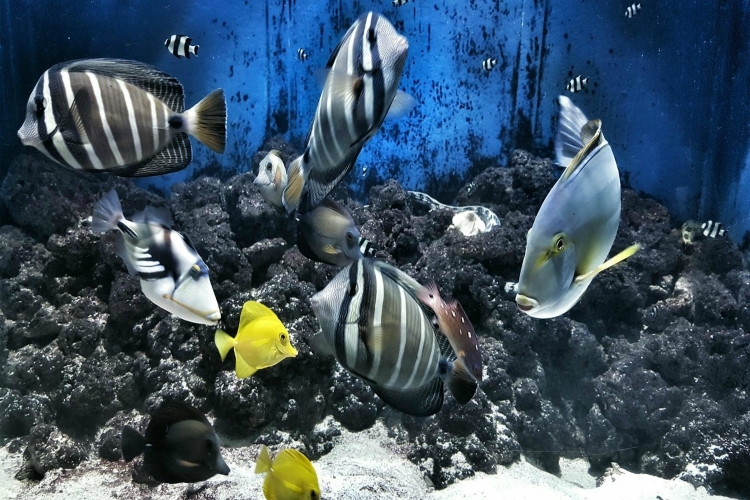 No matter how old you are, the ocean holds a particular fascination with us all, and a visit to Aquarium Pula is the perfect opportunity to satisfy all those little curious minds and learn about stuff you never even know existed. Book: No need to book, just be at the right place at the right time! Legend has it that once upon a time, real giants used to live in Istria, and in recent years they’ve returned – albeit in a slightly different form. 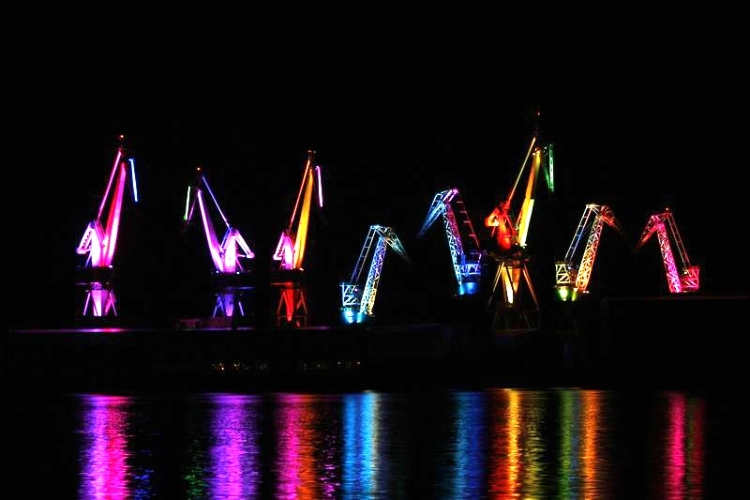 If you are in the city of Pula after dark, you’ll be able to spot the giant cranes of the Uljanik Shipyard – one of the worlds oldest working docks – light up in thousands of colours and special effects. The production is an art piece, called Lighting Giants, by local designer Dean Skira who grew up watching the shipyard cranes dominate the Pulan skyline. It’s quite the spectacular light show, right in the centre of town, well worth letting the kids stay up late for. The show goes on for fifteen minutes on the hour for two or three hours after dark (depending slightly on the season), every day all year round. 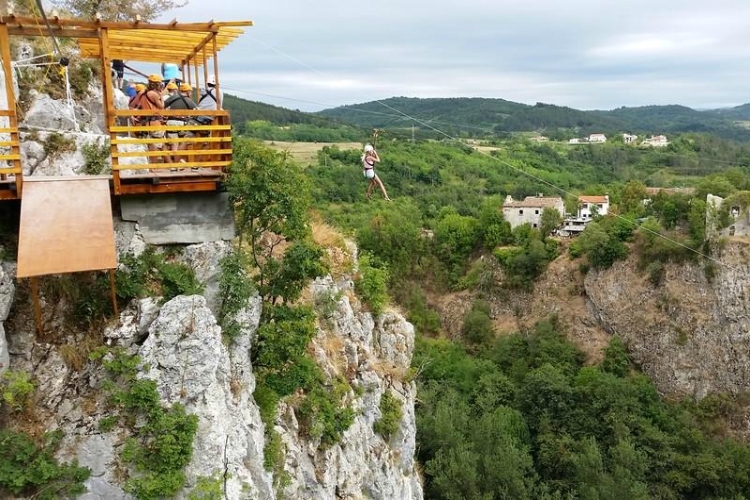 Known in English as Zipline Pazin Cave, this adrenaline-filled adventure will take you on four different zip lines through the unique Pazin Cave landscape – a natural phenomenon caused by the river Pazinčica. The first two lines are 80 meters long and the third is 220 meters long. The fourth and final line is 280 meters and reaches a maximum speed of 50 km/h. From it, you can enjoy the spectacular view of the Cave and the famous castle right above it. You will end this final ride on a great lookout above the Babina Kuća cave. 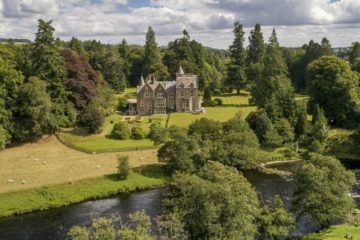 The whole excursion is led by two professional guides and takes about 30 to 60 minutes, depending on the size of your group, so you’ll have plenty of time to spend the rest of the day however you’d like. 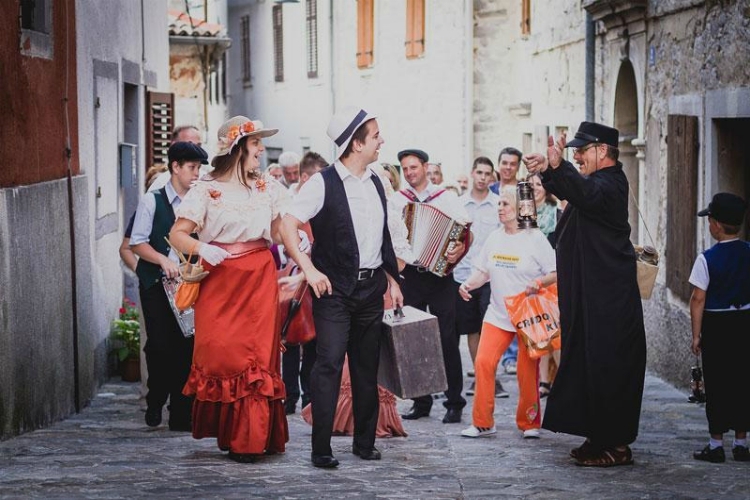 Take to some authentic historical locations to see Istra Inspirit put on interactive performances of historical events and mythological tales. Taking place everywhere from Roman villas and castles to medieval squares and archaeological sites, the unique atmosphere is complemented by great food to match. The stories vary between those of rich Istrian history, the musical Captain Morgan’s treasure, the story of Crispo and his tragic love with Fausta, and the tale of the Mare witch. All in all, Istra Inspirit put on twelve different performances, and the schedule varies so check out their calendar in good time. This is a truly unique experience that makes the very most of the cultural and historical heritage of the region. It’s educational and heaps of fun for both kids and parents. Book: No need to book, just show up! Looking just like a real submarine, this little adventure boat is half submerged under water while the other half remains above the surface, which is why its called semi submarines! From the inside, you’ll have a front-row seat to the view under the Rovinj sea. The special optic glass makes everything look clear and up close, giving you the chance to get familiar with fish, protected shellfish, sponges, jellyfish, crabs and all kinds of critters hiding under the waves. 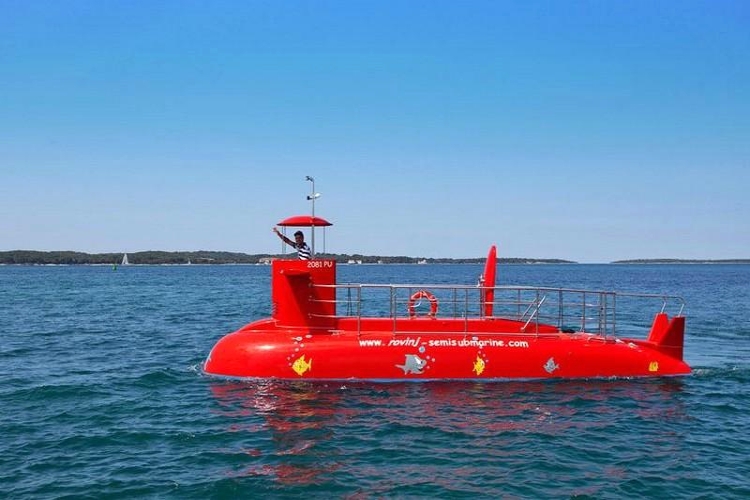 Daytime and nighttime tours are available, and the submarines cruise near the city of Rovinj and around the nearby islands. It’s definitely worth going up the deck hatch and take in the panoramic views of the coast and romantic old town as well. The trips take 45 minutes and leave every hour between 9 AM and 11 PM. Make sure to check it out if you’re spending the day in Rovinj. 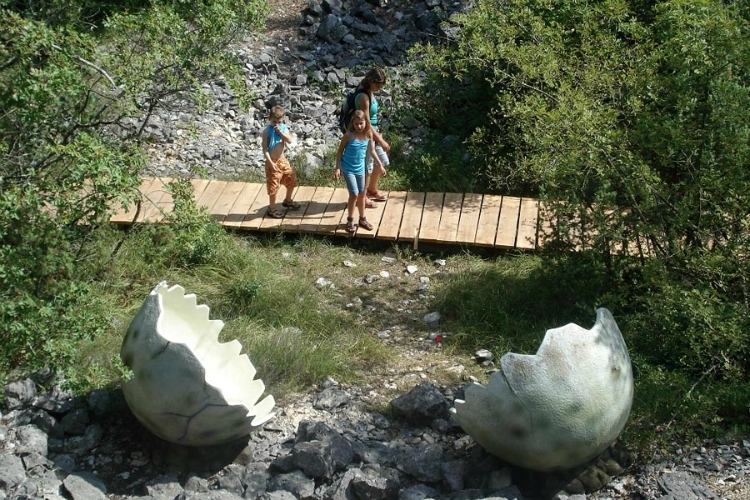 Istria is famous worldwide for having a stunning coastline, but if you’re equally curious about what’s hidden underneath – check out Underwater Park Verudela. Located on the Verduela peninsula and spanning over 200 square metres under water, this park is just as quirky as it sounds. After putting a special helmet on which will let you stay down and breathe comfortably underwater, you’ll descend four metres deep and walk around the park. Up to five people at a time can be lead through the underwater promenade by a guide. While you’re down there, you get to cuddle sea urchins, feed the fish, hold shrimp and look at the remains of a wreck. 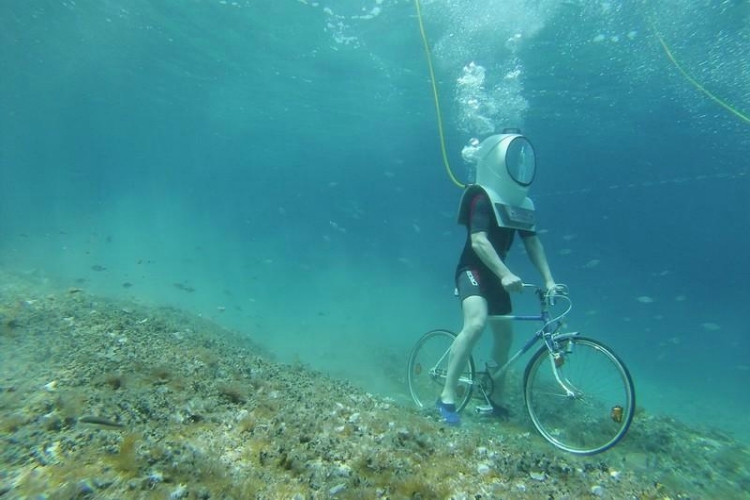 And if you’re up for it, try out riding a bike a the bottom of the sea! Everything can be captured on camera by your guide. Just remember that Underwater Park isn’t suitable for children under ten years of age, so if your little ones are just too little, this is a good excuse to come back again in a few years. 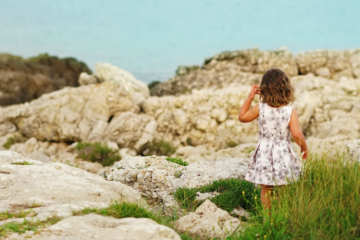 Hopefully, you’re feeling pretty inspired to take the kids to Istria by now. While making your final arrangements, have a look at our full collection of Luxury Villas in Istria to find out which villa is the perfect base for you and your family. For any kind of question contact our concierge team!